They say you can get anything you want here. I’m not surprised. The name alone suggests that’s the case. It is, after all, called the Black Market. 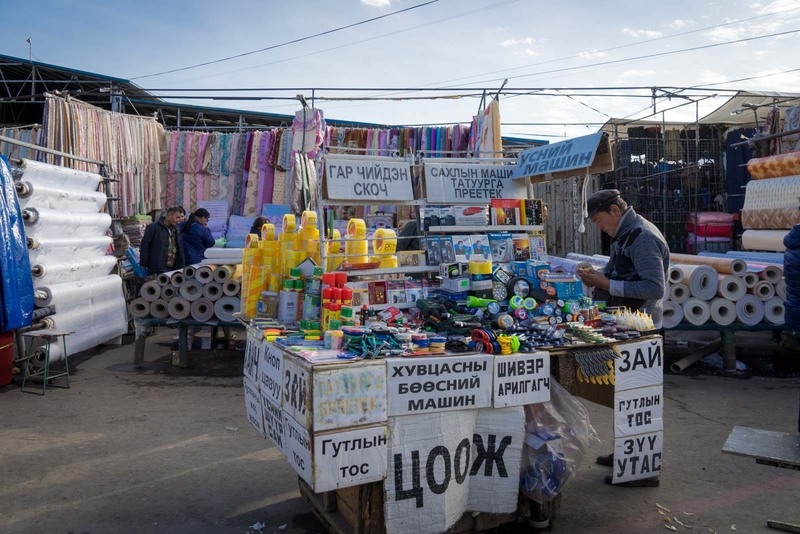 Ulaanbaatar’s main market may have an ominous name but, in reality, most of it is legitimate. I’ve heard tales of dodgy money changers and stolen goods behind the counter… but you would have to know where to look to find those things. 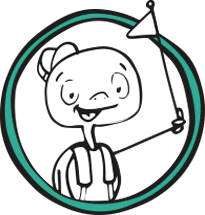 For most casual visitors, the closest you’ll come to any criminal behaviour is a brush with a pickpocket or bag slasher. Even then, it’s something that everyone is warned about but I’m yet to come across anyone who’s actually been a target. What really strikes you about Ulaanbaatar’s Black Market is how much there is for sale. And what is for sale. 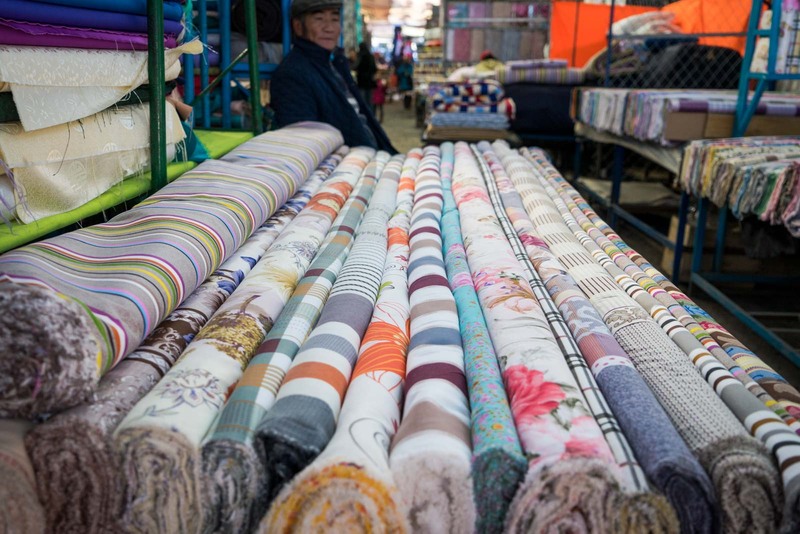 This is a market aimed at local Mongolians and seeing what is displayed here makes you realise how different this country is to the rest of the world. You may remember Nanjilmaa from my previous story about the nomads of Mongolia. 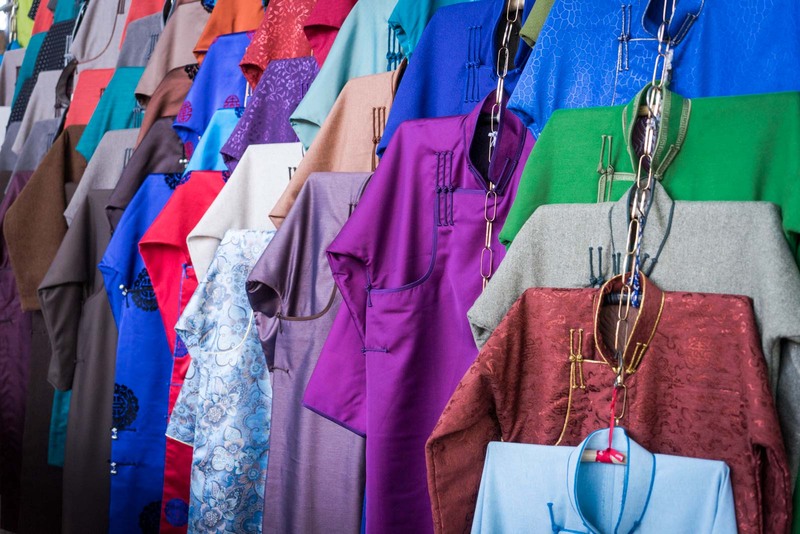 She had proudly told me that she made her own clothes and here in the market I see the shelves full of the type of material she – and thousands of other nomadic women – use for traditional outfits. 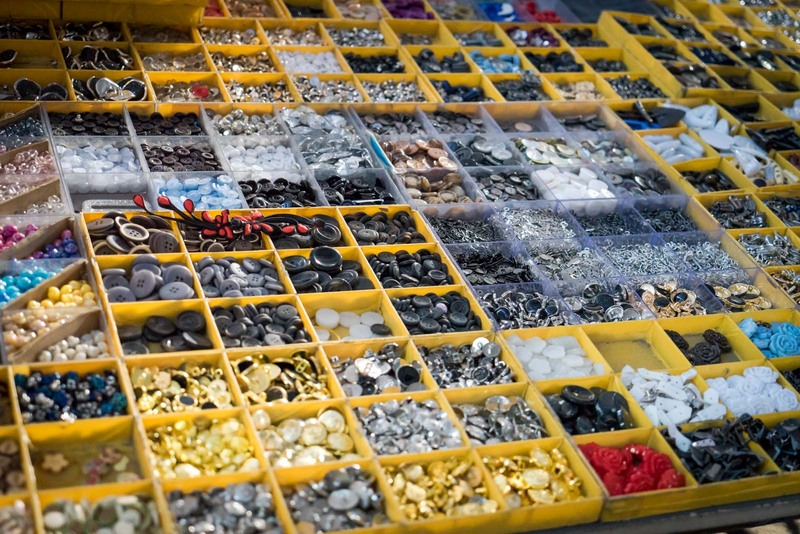 There are stalls dedicated just to buttons, selling the exact little design that would suit the clothes being made at home. Further along, through some makeshift corridors and over temporary piping, I see outfits that have already been made, for those who prefer not to sew themselves. 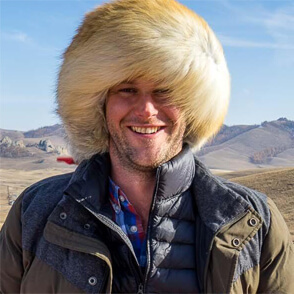 Cold winters out on the steppe mean clothes need to be warm. Of course there are jackets and coats everywhere but my eye catches a table with rows of little boots lined inside with fur. I have also learned that snuff is quite popular in Mongolia – another way to get through the cold nights in a ger. The snuff bottle can often be a prized family item and there’s a collection of colourful bottle of different sizes on display. 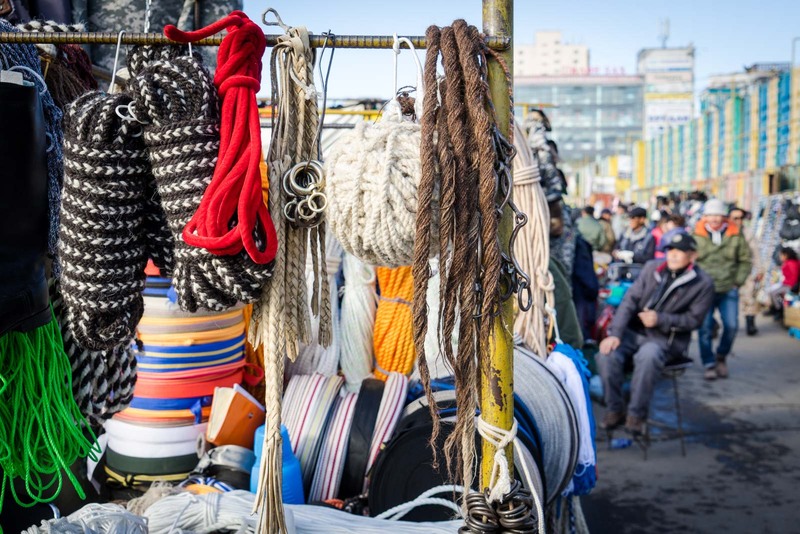 There are plenty of stalls selling various types of rope, an essential item for daily life with animals. 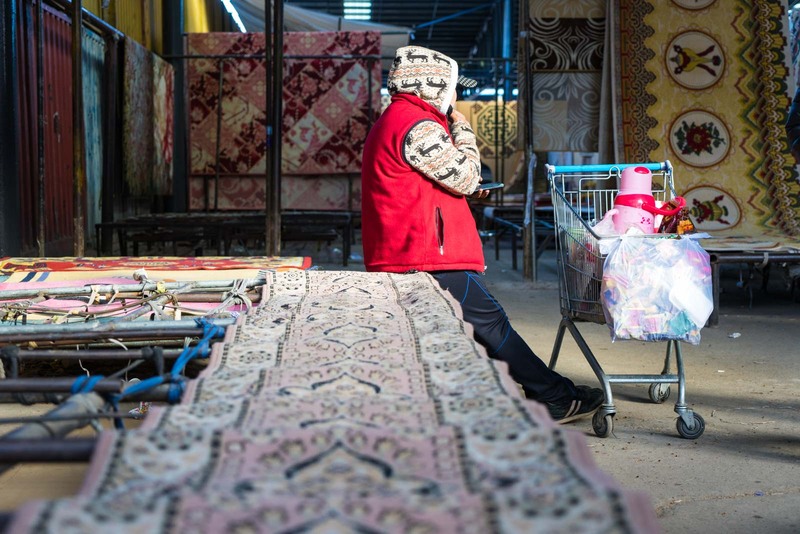 And I love the colours and patterns in the larger areas where carpets are for sale, some rolled up and others hanging on the walls made of metal fencing. 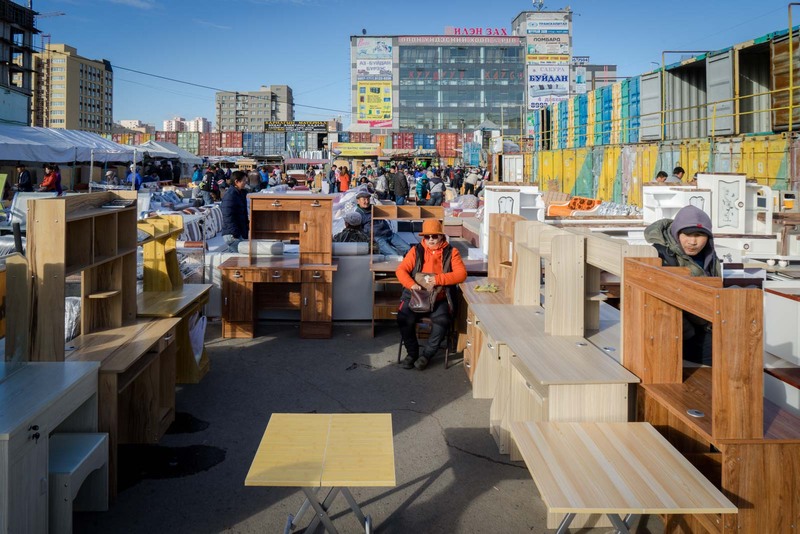 As I wander around, careful of my belongings but distracted by all the activity, I’m amazed to see the size of the Black Market here in Ulaanbaatar. The enclosed area I first saw at the entrance goes much deeper than I expected. When I finally pass through it, I find a row of alleyways selling rather mundane household items like buckets and toilet paper. I turn and walk through streets of even more shops. Hanging from the eaves of the stands are more and more items – scarves, jewellery, shoes, underwear. Workers push past me with trolleys and shoppers lug rugs over their shoulders. I then come to a large outside area bordered by shipping containers. These are used by stall owners as secure storage overnight so they don’t need to transport everything each day. With the extra space in this area, I find bigger items for sale – furniture and long rolls of carpeting, for instance. 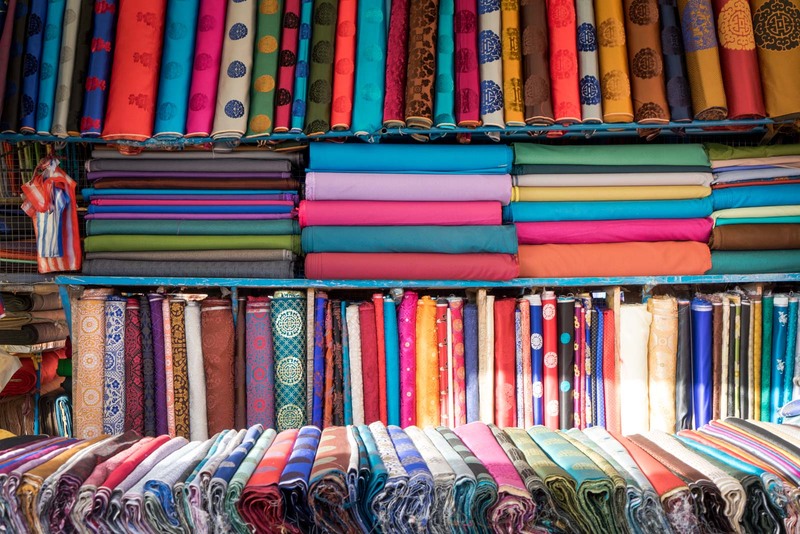 Sometimes I get strange looks – I don’t think many foreigners come to the markets. The locals probably assume that most who do are just here to look around for the sake of curiosity, rather than to buy something. They would probably be correct. That shouldn’t be a problem, though. This is how you learn about a culture. And coming here is a perfect way to understand a bit more about Ulaanbaatar. 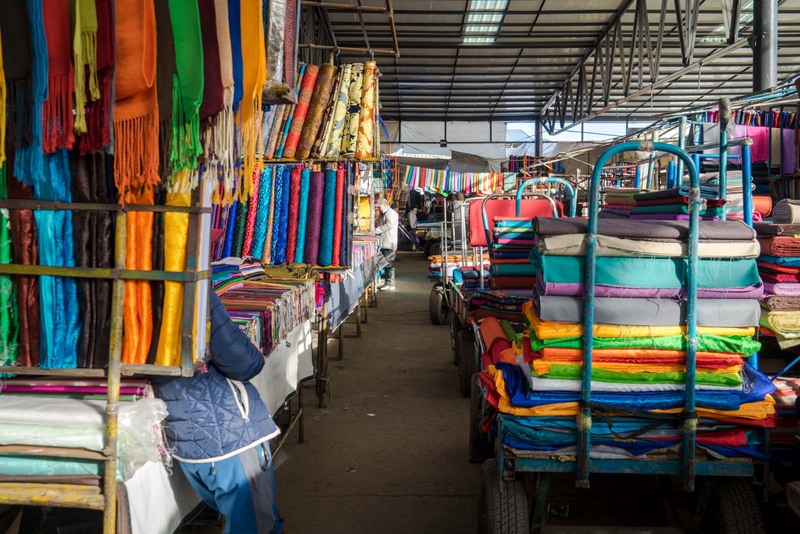 The Black Market may have a foreboding name but it’s safe enough for visitors. You are more likely to get lost than run into any real trouble. 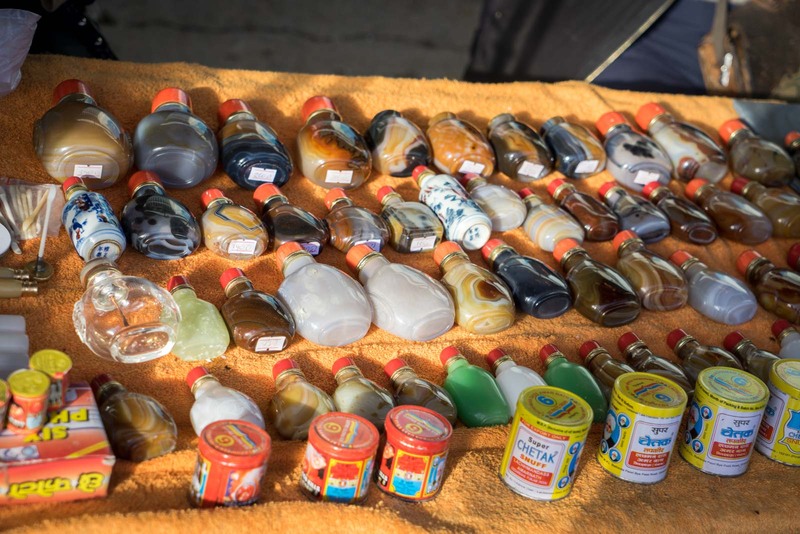 Where is the Black Market in Ulaanbaatar? The market is known as ‘Naran Tuul’ to the locals and it is at the eastern end of Narnii Rd, near the corner of Nam Yan Ju St. You can see it on a map here. A taxi from the centre of the city will cost about 5000T or about 30 minutes to walk. There are also buses that go to the market – I would suggest asking at your accommodation for that information. How much does it cost to visit the Black market? 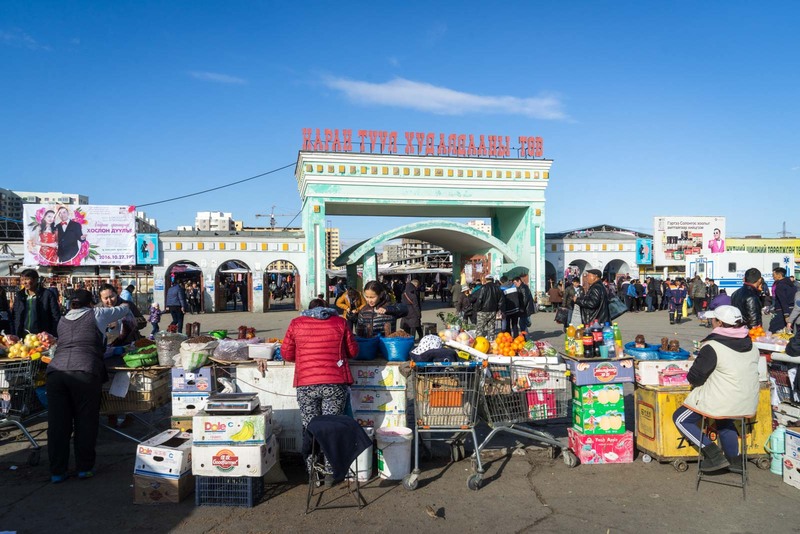 There should be no cost to visit the Black Market in Ulaanbaatar but I have heard reports of people being asked for an entrance fee as they go in – especially if they look like tourists. When is the Black Market open? The market is open from 0900 (9am) until 1900 (7pm) every day except Tuesday, when it is closed. Tips for visiting the Black Market? 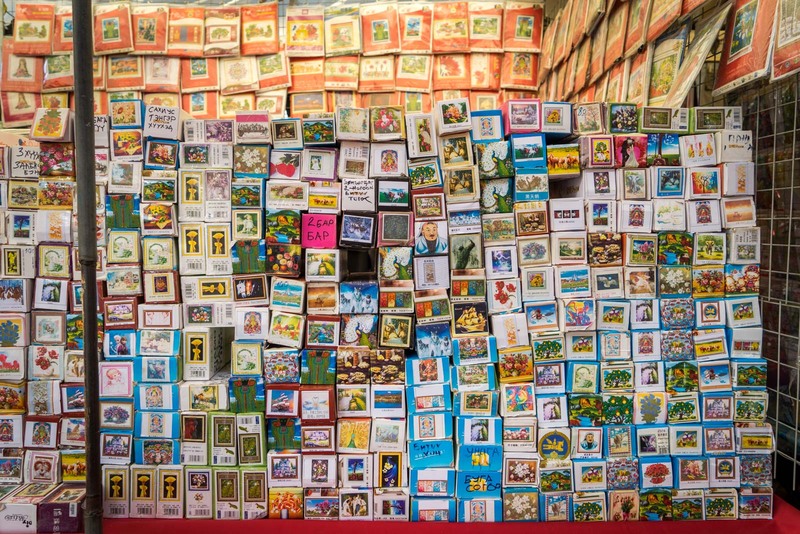 There are a lot of warnings about petty crime at the Black Market but it didn’t seem any worse to me than other big markets around the world. Just follow the same precautions you always would – keep your valuables secure and don’t take more than you have to. I always keep my wallet in my front pocket, for instance, and keep my bag within sight (not on my back). Where should you stay in Ulaanbaatar? If you’re looking for a budget option, I would suggest the very popular Golden Gobi with good tours. For a hotel that’s basic but clean and comfortable, J Hotel is a nice place. For something cool, stay in the city’s highest building at the Blue Sky Hotel. And if you’re looking for luxury in the centre of the city, have a look at the Best Western Premier Tuushin. How do you walk in those shoes? I’m seriously curious. Looks like you could get lost inside this place for days! I’d love a pair of those fur-lined boots. 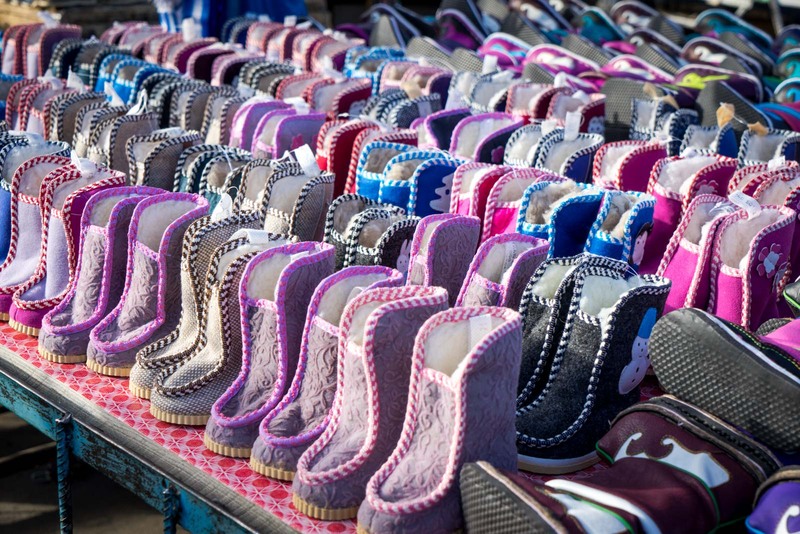 All items in Mongolia’s black market are beautiful but the same as you, these little boots captured my attention. I’m very curious why it designed like that. I mean it’s so unique and cute. I don’t know about the boot designs but everyone seems fascinated by them. If I ever go back to Mongolia I’ll try and learn more about them and let you know!! Fascinating–reminds me of a grey market on the south side of Chicago: Maxwell street market, which, coincidentally, was featured in the Blues Brothers movie. Great write up man! how easy is it to get merino/wool items like a jumper, blanket and gloves. and did they have much of a range of camping related gear?